A new blog by the CORPNET group had been published on Medium.com. The blog, “Neymar and State Money: How Sovereign Investment enters Global Capitalism”, is written by Milan Babic and Katie-Ann Wilson and can be found here. This blog post discusses the activities, outreach and role of the Qatar Investment Authority (QIA) that recently drew global attention by enabling the most expensive football player transfer in history. Besides the 222 Mio. € investment in Brazilian superstar Neymar, the QIA is very active as an investment fund around the world. 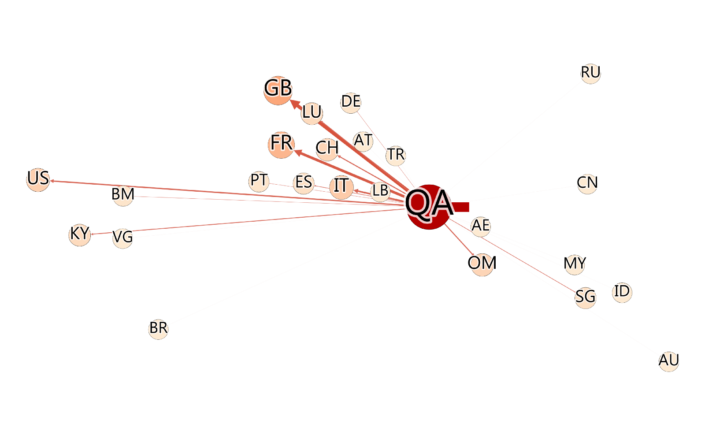 The interesting and hardly studied aspect about the QIA is its status as wholly state-owned entity participating in global capitalism. CORPNET is able to track these activities on a global scale by looking at fine-grained ownership data. This investigation of cross-border state ownership networks goes beyond Sovereign Wealth Funds and can be extended to any state-owned entity around the world.